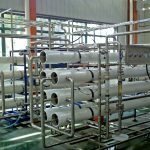 Mineral water treatment system is through a variety of physical and chemical means to remove some of the water production and life of harmful substances, such as water filtration and purification equipment. Water treatment system with RO reverse osmosis devices, ultra-filtration and na-filtration equipments. It applies to pure water, mineral water and drinking water ,etc. According to the customer requirements and the source water quality,WELL machinery adopt different equipment to produce pure water, mineral water,etc. The main equipments with mineral water treatment machines are silica sand filter, active carbon filter, sodium ion exchanger,hollow fiber,RO,UV sterilizer,precision filter,ozone generator,water tank,etc. RO(Reverse Osmosis) pretreatment process mainly for activated carbon and fine filtration. Penetration is a natural phenomenon: water passes through the semipermeable membrane, from the low solute concentration side to the high solute concentration side until the solvate chemical equilibrium is reached. At equilibrium, the pressure difference across the membrane equals the osmotic pressure. This is the phenomenon of infiltration. RO means that if pressure is applied at the high concentration side, the above-mentioned infiltration effect can be stopped and reversed,whereby water can be purged from high concentration to low concentration. This phenomenon is called reverse osmosis. This semipermeable membrane is called reverse osmosis membrane. 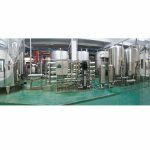 Mineral water treatment equipment is suitable for the filling of mineral water and pure water, and can be combined with filling equipment,water filling machine to be used in the water filling production line. 1,According to the raw water quality report and the output water quality requirement of the customer,WELL Machinery can provided you a full range of configuration about water treatment equipment. 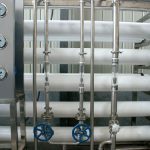 2,High automatically, PLC controlled, regular backwashing reverse osmosis membrane. 3,Under the control of electrical conductivity, to ensure good water quality. 4,Small Size of water treatment machine, easy to install. 5,After the water flows through the equipment, it can turn the water into magnetized water, and it has a certain inhibition and killing effect on the bacteria in the water. 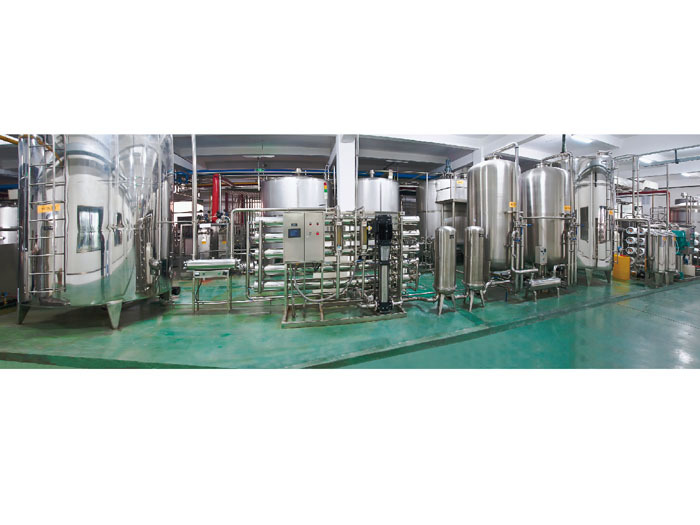 6,The water treatment equipment uses modular production with rational and compact structure and small occupying area.The whole process has no intermediate water tank with low contamination risk.